If you’re wondering what LearnDash is, I’m very happy to be here and present to you the most powerful learning management system in my opinion: LearnDash. Basing on what customers had to say about it, LearnDash is one of the best learning management systems which contain all the features such as easy to install, learn, and implement. Due to its amazing features, LearnDash is chosen by many theme designers to integrate into their beloved products, which is also the base for this thread, “6 Most Powerful LearnDash Integrated WordPress Themes”. Although specially suitable for websites of education, institution or online learning, LearnDash can be used for other purposes too. Down here in this article, I’m going to further on 6 powerful LearnDash integrated WordPress themes that I believe to be the most impressive, which mostly cover the education field. Choose one of these themes with LearnDash integration to set up a learning center or an education website of your own, you won’t be disappointed. Besides having LearnDash as the utmost similarity, these themes also share some other alike features, such as: fully responsive tested on multiple devices, customization options, plentiful pre-built page layouts and the compability with or integration of premium/free plugins like WPML, Visual Composer, Advanced Custom Field PRO, etc. Therefore, you may have to be very picky before giving out the final decision as which to buy. 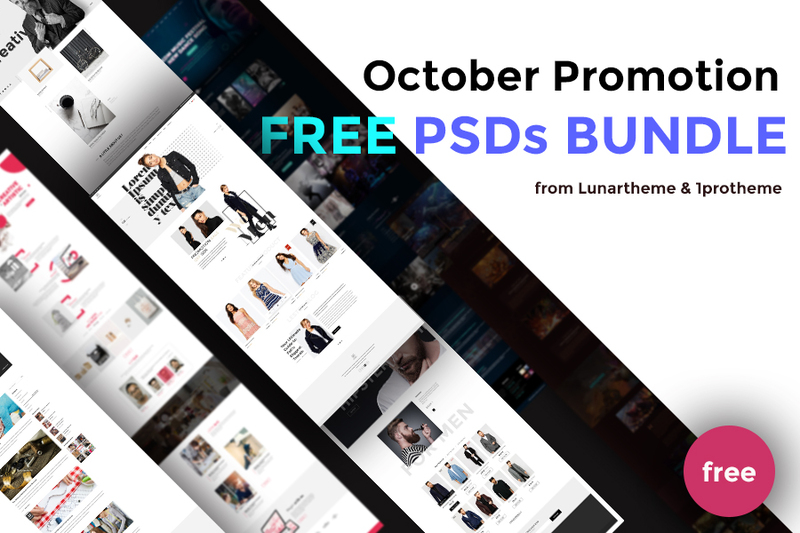 But don’t stretch your brain too hard, because these themes all provide potential customers with Demo sections for experiencing before purchasing. There’s one more interesting thing, but I believe you’ll find out it yourself at the end of this thread! Rated with an impressive average of 4.65/5, Lincoln is an one-of-a-kind education WordPress theme using material design for Education and Learning centers. 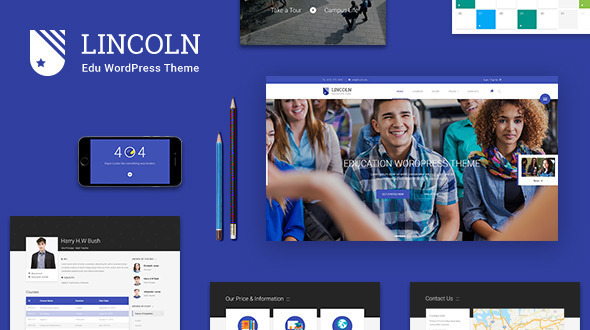 Released after hours of strenuous work, Lincoln is Knighthemes’s number-one WordPress theme, built with the use of material design for Education & Learning Centers which is bound to bedazzle your visitors with many eloquent features. In addition to being completely ideal for the education industry, Lincoln is so adjustable that it can be used for online businesses and creative digital agencies. 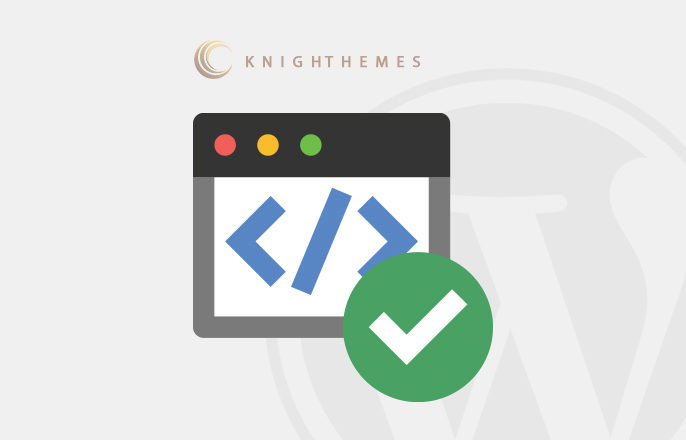 By conducting a thorough research into your industry in order to give you the best product, Knighthemes proudly claims to know clearly what your Learning business website needs to be an eye-catching yet effective one. With Lincoln, creating courses with specific categories and dividing classes, getting feedbacks from customers, setting the prices and discounts, creating events, appointing teacher/speaker or even uploading posts on to the blog with different layouts would never seem so easy. Moreover, Lincoln is also inextricably linked with the famous WooCommerce – the largest eCommerce platform, which will make checking up on your online educational store’s products would be such an easy task. Also, this responsive learning theme is also accompanied with such dynamic elements and plugins such as Revolution Slider, Visual Composer, etc. 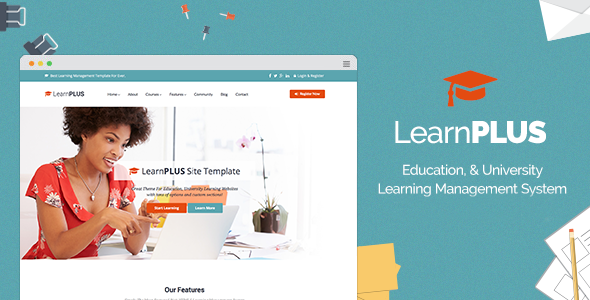 Provided by the impressive themealien, LearnPlus is introduced by its creators as an unique and modern Learning Management System WordPress theme for WordPress built with Bootstrap. 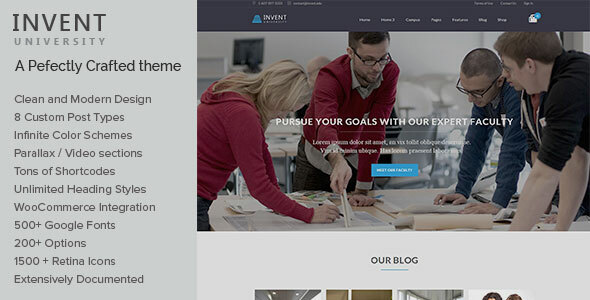 Moreover, this great theme is powered by Visual Composer. Like other themes, it provides a wide range of features, ranging from creating online courses, online shop, teacher profile, user profiles, lesson management, quiz system, to even building a questions system or event management, etc. As you may figure out, LearnPlus is fully compatible with LearnDash, one of the most popular Learning Management Systems (LMS) for WordPress. If you don’t know yet, integrating with LearnDash gives LearnPlus the ability to offer you the powerful complete solution for online courses. 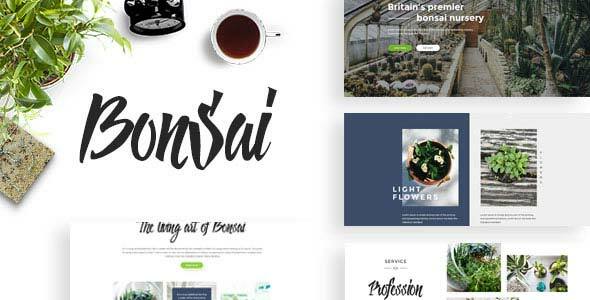 Among these LearnDash integrated WordPress themes, I highly regard this theme for its clean and simple design, its effectiveness and being easy to use. I know it’s still quite a little bit hard for you to imagine this out, so why don’t you visit its Demo for more information? With nearly 800 sales and an average 4.51/5 stars, it’s no doubt Education Center is one of the best of its kind. Created by the renowned ThemeREX, Education Center is launched especially for the educational establishments such as colleges and schools, as well as trainings and courses. What is eye-catching about Education Center is the fact that it is incredibly colorful, which will capture your visitors’ attention at the first look. The more they are drawn into your website, the more likely they will apply for your courses with no hesitation. This is also the basic idea ThemeREX’s creators kept in mind while creating the lovely theme. Besides being one of the most stunning LearnDash integrated WordPress themes, Education Center is also fully responsive, with translation and WooCommerce ready. It offers you easy installation by the one-click demo installation, together with various customization options including numerous color settings, many premade pages, mobile device optimization, etc – all of which will offer you great help in creating a strong and easy operated online educational business. Well, in case you don’t feel sure about what I’ve said, please take a look for yourself at its Demo section! University WordPress theme is announced to be great for Education Institute, Events, Courses and even Learning Management System, Business and Shopping. This education WordPress theme is rich in features yet pretty easy to use. Like many others, University is accompanied by lots of features that is necessary for a modern WordPress education theme. Some of those include: responsive design, Slider Revolution included, Facebook & Disqus comments integration, Event Management, Course Management, and Built-in Even Calendar. 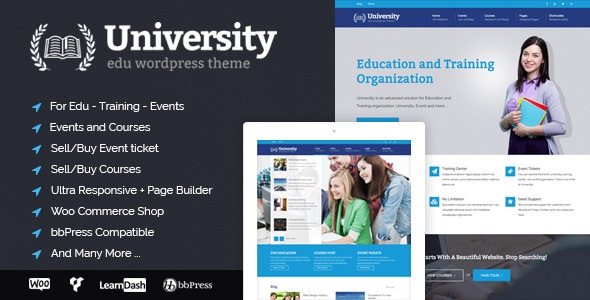 University is expected to be one of the perfect WordPress themes for education websites. Moreover, this educational WordPress theme also include 7 home page layouts which can be transferred into your website within a few clicks. Theme Options panel and drag-drop page builder will help you customize the theme as you wish. According to its provider, cactusthemes, University WordPress theme is now used by more than 2000 site owners and has always been on top of WordPress education themes. So, I recommend you to go straight to its Live Demo and consider it yourself! With more than 2000 sales and 4.82/5 points on average, I believe the figures have spoken it all to you! 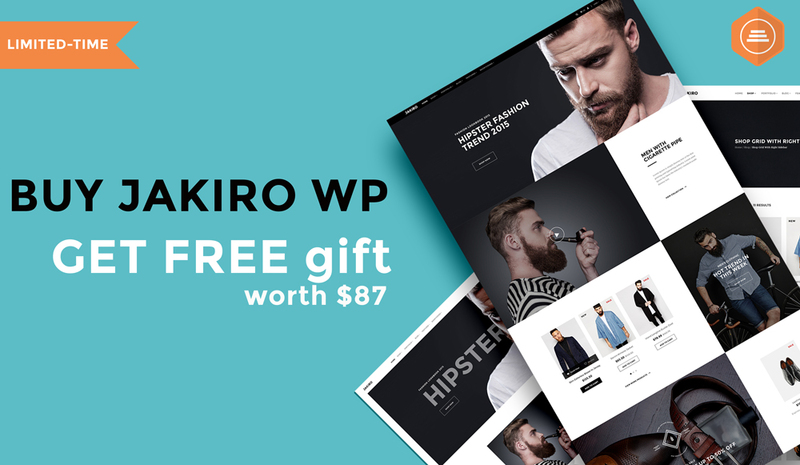 Woffice is provided by Alkaweb, this is an extremely useful, features-rich and powerful Multipurpose Intranet WordPress theme. According to what is presented by Alkaweb, this is a package of easily customizable design inspired by Google’s Material Design, giving it a stunning, modern appearance and making it easy to navigate User Interface. What is more, Woffice is fully compatible with a wide variety of applications including Business & Government Intranets / Extranets, School Networks or any Community Network and Associations/Charities. If you’re wondering what exactly Woffice is here for, let me get this short for you: When you’re not sure as how to start your next project in a quick and easy way, Woffice is just the right thing for you. Using the best CMS and its advantages, Woffice is bound to help you build something distinct with your bare hands. Enough talking, why don’t you move straight to its Demo to see if I’m telling the truth! Created by LiveMesh, Invent is an education theme possessing an one-of-a-kind appearance, bound to offer its customers the feel they’ve never experienced before. Specially designed to meet the requirements of Schools/Colleges/Universities, Invent is the outcome of extensive research on numerous websites of educational institutions and their qualities. In addition to being a perfect match for educational institutions, Invent is also ideal for design agencies, corporate websites and small businesses. Invent has been tested thoroughly to guarantee its compatibility with LearnDash, the popular Learning Management System (LMS) for WordPress (which is required to be purchased separately). It also comes with custom sidebars, page template for the display of LearnDash elements or custom posts. To name some of the most fruitful achievements in terms of features, Invent offers customers such wonderful features as Unique Design with Cutting Edge Features, 60+ Shortcodes with Premium Shortcode Builder, 8+ Custom Post Types with backend UI,Easy to Use/Configure Page Sections, Single Page/Multi-Page, etc. Since seeing is believing, I suggest going to its Demo page for real experience! You may as well realize that all the LearnDash integrated WordPress themes I listed above possess undeniably stunning appearance and amazing features. However, before deciding which to spend money on, customers should weigh the pros and cons very carefully. For example, in addition to having LearnDash integrated and other similar qualities, some also have the same issues, mainly concerning installing plug-ins and updates. Basing on the wonderful features it offers and especially the flaws-free characteristic that most customers and I myself have experienced, I highly recommend Lincoln by Knighthemess. So, let’s visit these and see if you could grab something!